Help Center - How do I view my billing history? 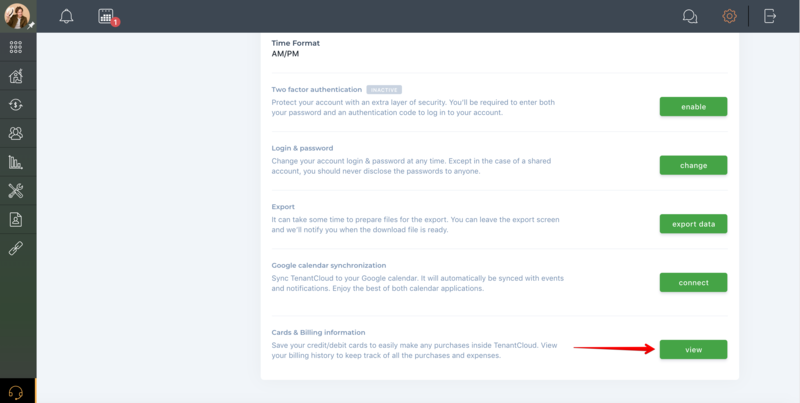 To view your billing history and keep track of all your purchases and expenses within TenantCloud, open “Cards & Billing Information” from the "Profile Settings" page. Switch to the “Billing History” tab. This is where you can see individual payment details and statuses. You can also download receipts, if necessary. The "Billing History" tab shows the following payments: subscription plan payments, LegalNature document purchases, screening report purchases, property market reports, and account verification fees.